Ever since I was little, I could always be found nose deep in a book. I’m also a bookstore fiend, spending hours browsing the aisles—it’s one of my favorite things to do. There are those special booksellers you get to know, such as Diane at Diane’s Books in Greenwich Ct. Every time she puts a book in your hand it becomes your favorite, you’re kids favorite. And the bookshops you discover around the world; what would a visit to Paris be without a stop at Shakespeare and Company, or a drop in at Powell’s when in Portland. There’s the architecturally stunning El Ateneo Libreria in Buenos Aires, the quirky Atlantis Books in Santorini and the delicious Books for Cooks in London where you can even get a cup of soup or sandwich. Indie bookstores that are worthy travel destinations! As a magnet for novelists, poets and playwrights it’s no surprise New York City is rich with incredible bookstores-- so get ready, get set, get inspired, and get reading! The Plan: Starting uptown and ending in Nolita, here’s a literary day spent exploring some of the city’s best independent books stores. So put down your Kindle, stop ordering from Amazon and support our best before they’re gone. Breakfast Before Books: Quintessential New York deli Barney Greengrass has been selling appetizing for over 100 years. Specializing in smoked fish order the nova, lox or whitefish on a bagel or bialy and be a part of NY history. Uptown Academic: Serving Columbia University students, Book Culture carries many titles from academic presses as part of its collection and is a vital part of the neighborhood offering countless readings and events. As a book lover, I was moved by their manifesto quoted here. “We know that reading enriches lives, families, and communities. As Upper West Siders, we want to start turning the tide right here in our own community, on a current trend that sees independent bookstores disappearing at an alarming rate. As New Yorkers, we want to do our part to make sure that our city's rich history and reputation for being home to writers, publishing houses, editors, and bookstores, remains intact - as does our city’s position as the literary capital of the world.” Visit one of their three locations, two right by Columbia University and the newer third location on West 81st. East Side Cooks: Head across the park to Kitchen Arts and Letters on Lexington Avenue. 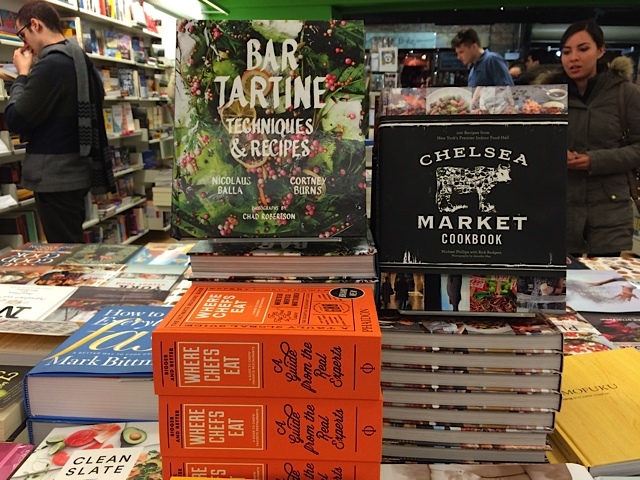 This gem of a store is a dream for cooks with more than 12,000 titles in stock. Founded in 1983 by Nach Waxman, there’s much more than just cookbooks with a large range of books related to food history and food writing. Here’s where to find international cookbooks not published in the states or out of print titles. I’ve found some of my most used, now food stained cookbooks browsing the shelves here—two of my favorite finds-- chefs Pete Evans and Neil Perry from Australia. Kids Circle: A few blocks away on Madison Ave, the Corner Bookstore has been serving family friendly Carnegie Hill since 1978. With a large number of private schools nearby it’s no surprise this shop caters to the many students with an extensive collection of children and young adult books. There is a committed collection of as they say “the best of the best” fiction and non-fiction for adults as well, making this an inviting neighborhood fixture. Refresh: Right down the street grab a coffee at popular Yura or a fresh green juice or uber healthy smoothie at Juice Press. Exotic: Travel to Japan on Ave of the Americas and 6th Avenue at Kinokuniya, their flagship store next to Bryant Park is oh so hip Japanese. Carrying not just books, but everything from cards, stickers, and origami papers to pens. There are great gift giving opportunities here. Artful: In the heart of Chelsea near all the art galleries, gallerist Paula Cooper and her husband Jack Macrae opened 192 a true refection of the neighborhood and its owners. The focus is on literature, and of course art. Check the calendar for readings, signings and special events. Weekly children’s story time is on Wednesdays, a nice plus for the neighborhood. Eat: Right down the street from 192, I love Cookshop for lunch. I usually order the seasonal salads or mezze plate but the burgers are hard to resist, just watch the French fries going by. Always crowded with a colorful arty crowd, it’s a high-energy people-watching scene with excellent food. 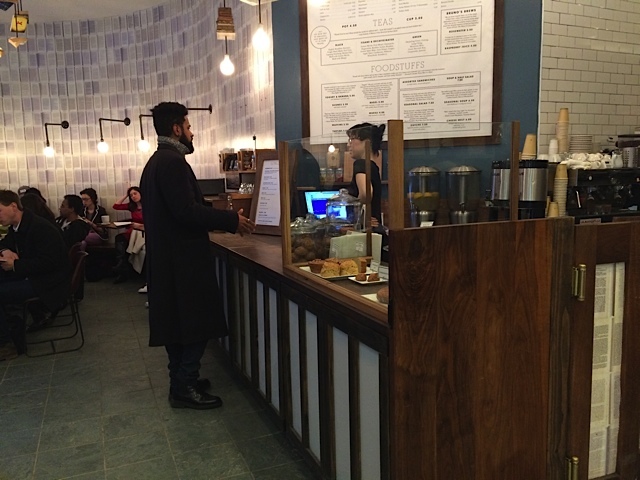 If you’re not hungry yet, eat later close by Three Lives at Jeffreys Grocery, a casual West Village gathering spot. Quick bites can be had at Chelsea Market our next stop. 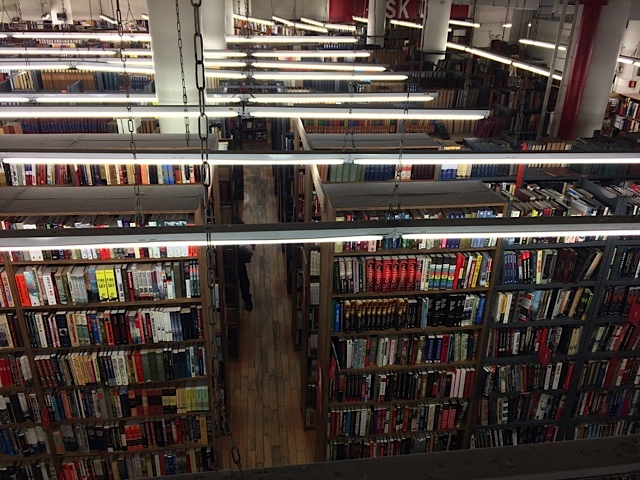 In the Market: Posman Books has locations in Grand Central, Rockefeller Center and a new location opening soon at Brookfield Place, but the Chelsea Market location is the one I usually visit. There’s a great selection of travel guides, with a well-stocked supply of standard and quirky NYC based guidebooks. I love the extensive collection of quality greeting cards. Pick a book from the staff picks, some coffee from Ninth Street Espresso and grab a seat on the nearby highline and start reading! Charm: What you picture a West Village NYC Bookstore to look and even smell like. Even the corner location is perfect. Small, dimly lit—no fluorescents here—and with no wasted space Three Lives and Co. on West 10th is all about the books. Last time I was there I picked up some unusual writing books for my college bound daughter, an aspiring writer, that I hadn’t seen elsewhere. Named for a book by Gertrude Stein—need I say more? 18 Miles of Books: There is only one Strand, it’s a NY fixture and if you only have time to visit one bookstore than this should be the one. Good prices, a vast selection, and tons of carts of cheap used books outside. (What else can you buy for a dollar these days?) I love the art and photography books on the 2nd floor and be sure to visit the rare book room on the 3rd. (events are hosted here) If you roll your eyes at all the merchandise, remember its helping keep the Strand going, so buy one of their famous totes on the way out. Warning: you can get lost here for hours! Old Favorites, New Spaces: Two of my favorite fixtures one from the East Village, and one from the West Village have recently relocated to within a few blocks of each other. Bonnie Slotnick Cookbooks now in a new home on East 2nd specializes in rare and out of print cookbooks. I’ve spent many a late night browsing the art and poetry books at St. Marks Bookshop back when they were on St Marks street. The new digs are on East 3rd. I’m looking forward to stopping by to see both of their new homes. 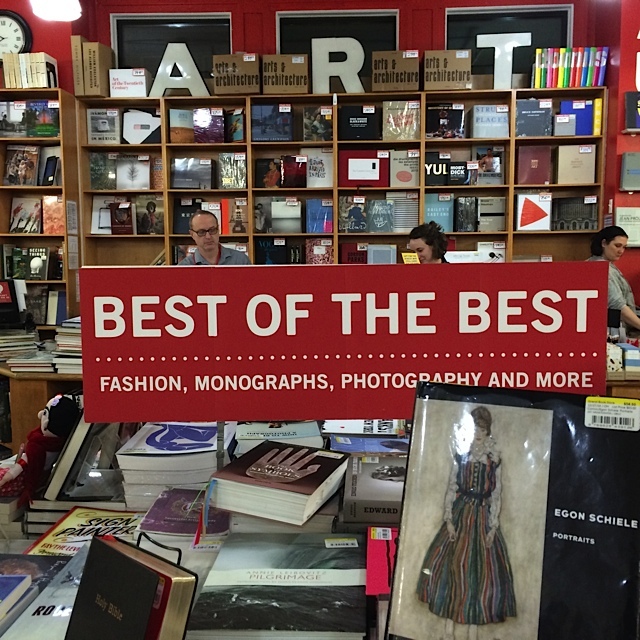 Personality Plus: Dare I say, Mcnally Jackson is my favorite Bookstore in NYC. Smaller and more intimate than the Strand there is still a lot going on at Mcnally Jackson. The downstairs hosts frequent author readings, there’s a corner devoted to printing your own books, and if you get thirsty there’s an in store café. Plus there’s a wonderful selection of journals, stationary, paper and greeting cards. 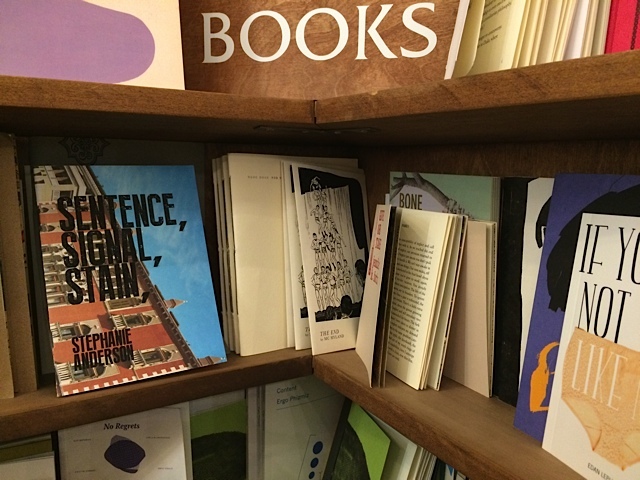 I love the wonderful poetry selection with small personal chapbooks; leading to unique finds and quirky treasures. Oh, and you can find all the traditional stuff like staff picks, cookbook collections and bestsellers here, well selected, naturally. 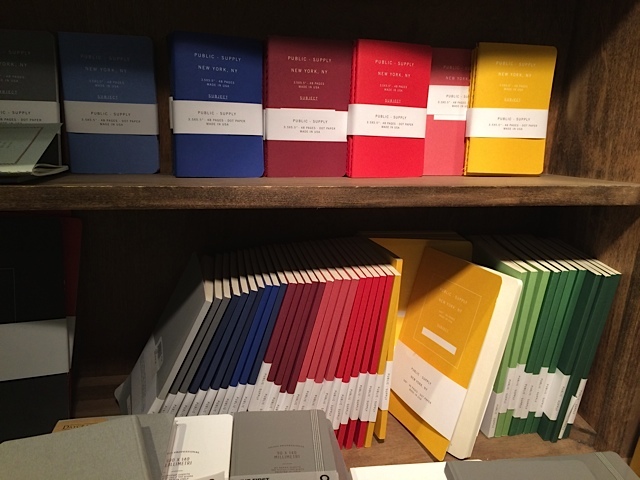 News: I read Mcnally Jackson is opening soon in Williamsburg—can’t wait! Dinner: You don’t have to venture far from Mcnally Jackson to find great food. There are lots of excellent choices within a block or two. For a quick bite grab a falafel at Israeli Chef Einat Admony’s Taim , or sit down next door at her Middle Eastern meets Mediterranean restaurant Balaboosta. Also on the same block there’s great chicken or eggplant parm at Parm from the Torrisi/ Carbone guys or excellent pizza and pasta at Rubirosa. There are always long lines at Lombardi’s Pizza, famous as the oldest pizzaeria in the U.S., but I think Rubirosa is better. Café Gitane may just be responsible for foodie’s obsession with avocado toast, I had it here way before it was an instagram fad, but I also love the salads and Moroccan cous-cous. Head towards Lafayette and have a casual meal at the packed and popular Jack’s Wife Freda. Next Up: Exploring Queens and Brooklyn’s Literary haunts: Greenlight, Book Court, Astoria Bookshop, Word, Powerhouse Arena and Community Bookstore. I’m going to miss: Rizzzoli, the beautiful soaring space, the glamour and grandness. 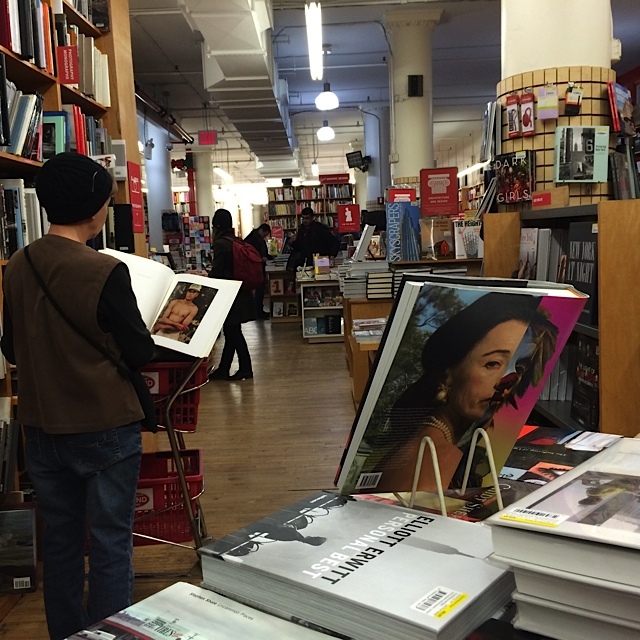 Art book lovers cried last April when Rizzoli closed its doors after losing their lease. They vow to reopen, but it’s hard to imagine they can recreate what they had on West 57th.